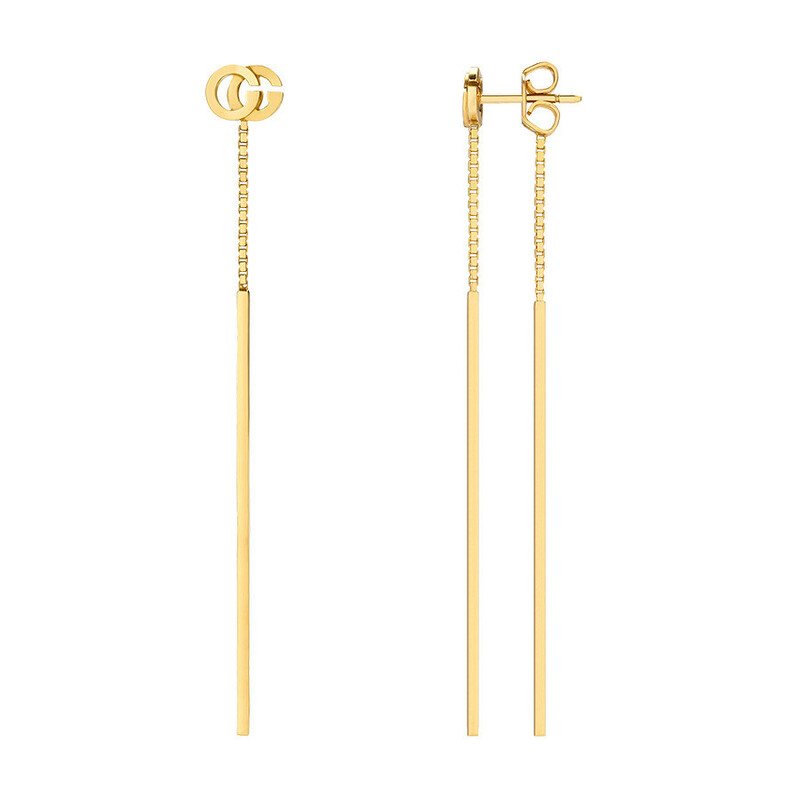 These earrings from Gucci's GG Running collection appear to run through your ears! The 18K yellow gold threader style features a long drop of precious metal that starts with two consecutive Gs from which small squares and a long, vertical rectangle hang. The elements are mirrored, attached to the pretty pair's comfortable post backs. These Gucci earrings display and intriguing illusion that's sure to impress.